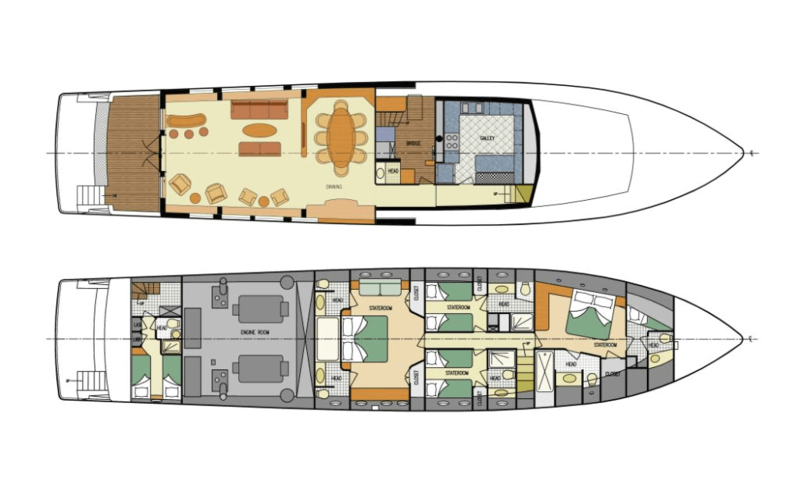 Private Motor Yacht Justine - 97' Yacht with 5 staterooms. 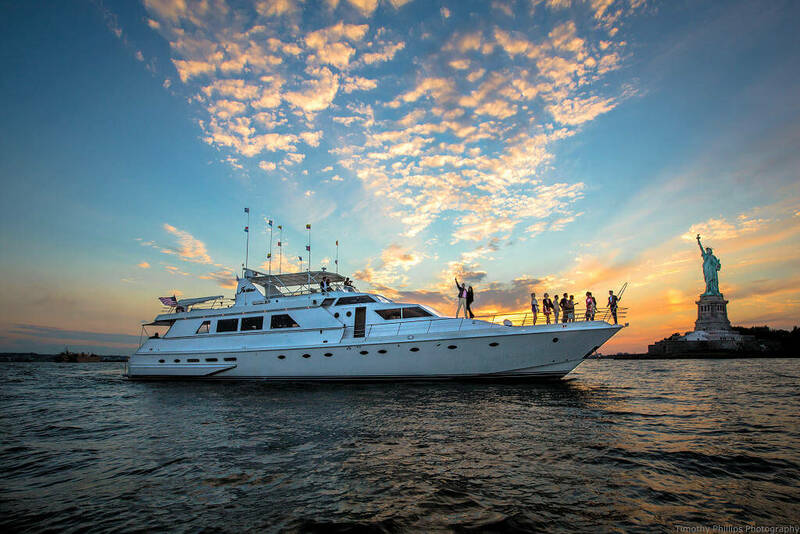 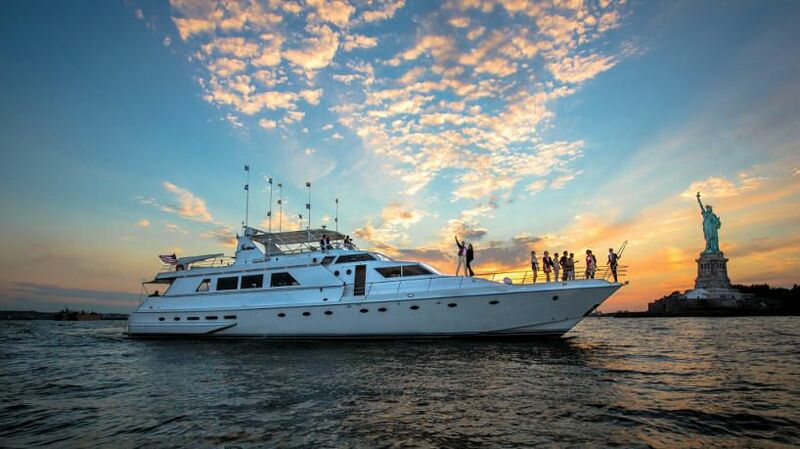 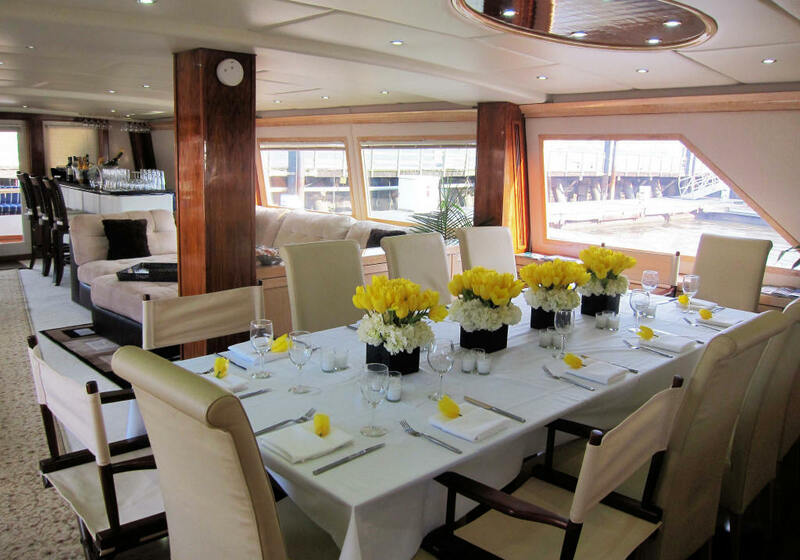 Accommodate up to 12 guests for day and evening cruises as well as term charters. 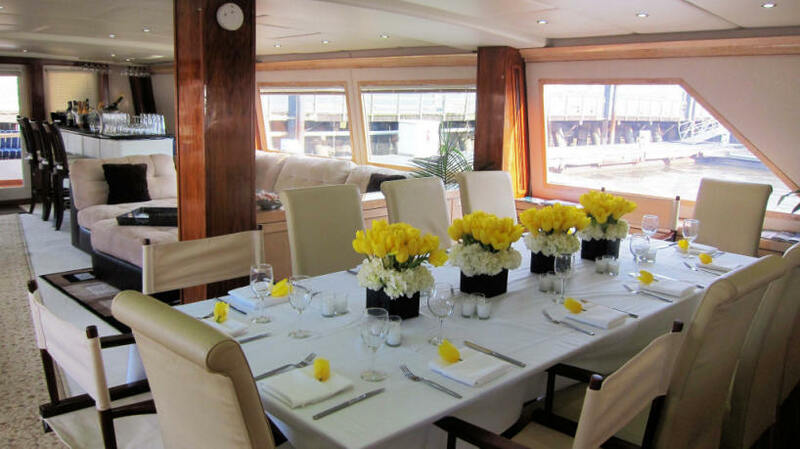 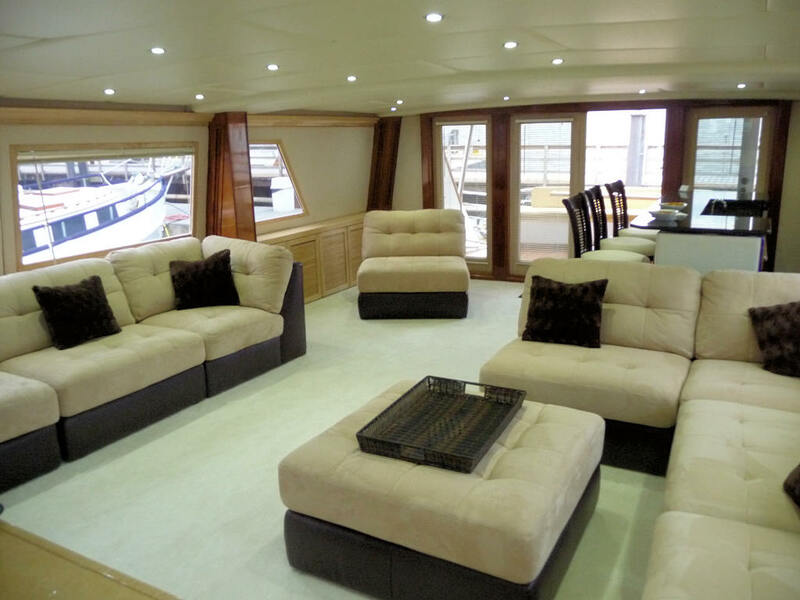 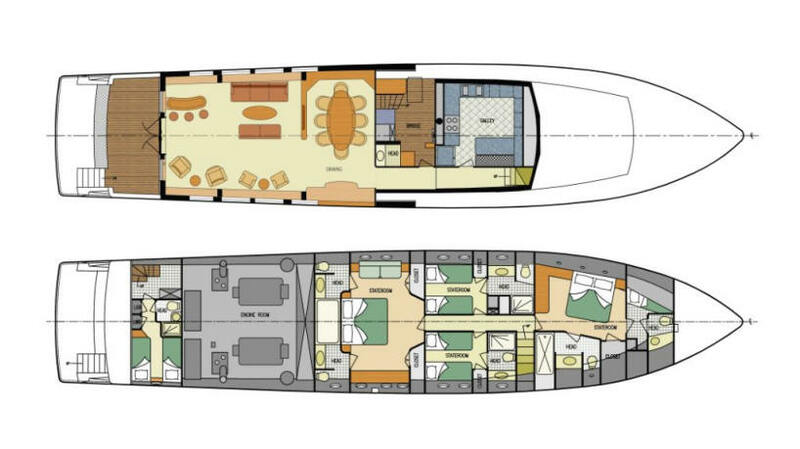 Elegant main deck salon, full service bar, formal dining room, and fully equipped galley. 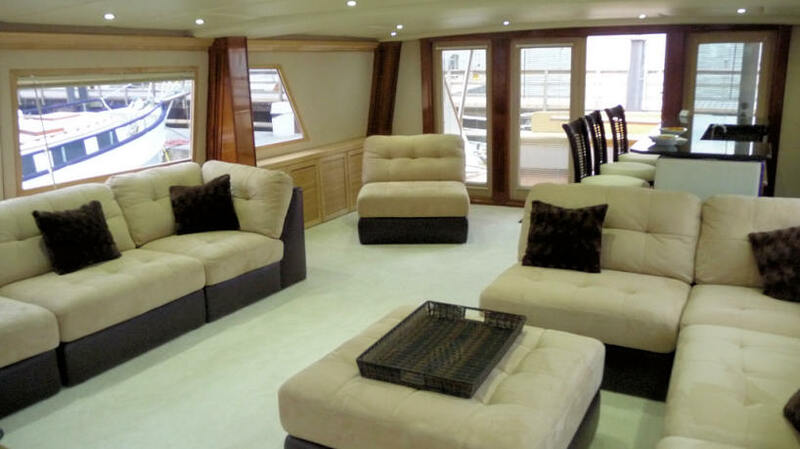 Aft deck observation area and seating, upper deck outdoor area w/ lounge seating and bar.